MacDonald, Illig, Jones & Britton LLP is pleased to announce that partners Roger H. Taft, W. Patrick Delaney and Lisa Smith Presta have been selected as 2018 Pennsylvania Super Lawyers. Only 5% of attorneys in Pennsylvania are chosen to receive this distinction. As stated on its website, Super Lawyers is "a rating service of outstanding lawyers from more than 70 practice areas who have attained a high-degree of peer recognition and professional achievement. The selection process includes independent research, peer nominations and peer evaluations." Mr. Taft is a principal trial lawyer at MacDonald Illig whose practice is focused on employment litigation, including employment discrimination and wrongful discharge cases, and complex commercial litigation. Mr. Taft represents clients in federal and state courts throughout Pennsylvania, New York, and Ohio, as well as in federal courts throughout the United States. Mr. Taft has received the Pennsylvania Super Lawyer distinction each year for over a decade. 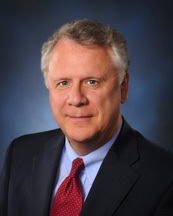 Mr. Delaney is a trial lawyer and Chair of the firm's Commercial Litigation Department. He has experience litigating a wide variety of matters, from shareholder disputes to personal injury. In general, the focus of his practice is commercial litigation. 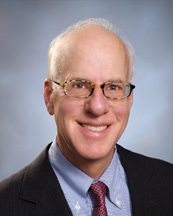 Mr. Delaney has litigated disputes in the federal and state courts throughout Pennsylvania and in various other jurisdictions. He has also handled numerous complex commercial disputes before arbitration tribunals, including panels convened through the American Arbitration Association and the International Chamber of Commerce. This is the sixth year in which Mr. Delaney has been recognized as a Pennsylvania Super Lawyer. Ms. Presta is a trial lawyer and Chair of the firm's Insurance Litigation Department. 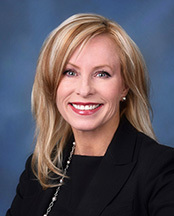 She handles complex, multi-party litigation, including breach of contract matters, fiduciary disputes, malpractice cases, non-compete litigation, and the defense of employment discrimination, harassment and wrongful discharge claims. Ms. Presta represents clients in federal and state court, before administrative agencies such as the EEOC, and in arbitration tribunals such as the American Arbitration Association.